Media and Contents: Soft cover, landscape format, 50 pages plus covers (incl. 2 pages and front and backin full color). Advantages: A broad overview of the subject matter giving the modeler a good introduction to a variety of French bombers. Disadvantages: The depth of coverage of each type is, of course, limited by the limited scope of the publication. Recommendation: Recommended to anyone who wants an introduction to French WWII Bomber aircraft. We make fun of them, mock them and usually nominate them for ugliest aircraft ever produced. But what we don’t do is learn about them. That has not necessarily been our fault, as there has been a dearth of books, published in English, on the subject of French bombers of the World War II era. Alain Pellitier, following upon his well done French Fighters of World War II in Action, makes an excellent effort to introduce us to the world of French bomber development on the eve of the Second World War. As we learn in the brief introduction, French bomber development was too little, too late. This book, unlike the typical In Action book, gives a brief overview of a number of aircraft. While coverage is short, the information is well presented, and gives one the basic background of each of the bombers, including combat service and foreign use. We are introduced to the following aircraft. There are some surprises in this slim volume. We learn that the first Allied bomber to drop a bomb on Berlin in World War II, on June 7-8, 1940, was a Farman NC.223.4, a twin tailed civilian model named “Jules Verne”, which was pressed into service with the Aeronavale. There is also the Amiot 351, a sleek twin tailed bomber that looks as if it were part of post-war Soviet bomber development. Of course, the reader will not be disappointed, there is that “ugly” Amiot 143, which looks as if a sight-seeing bus was grafted onto the bottom of the fuselage. 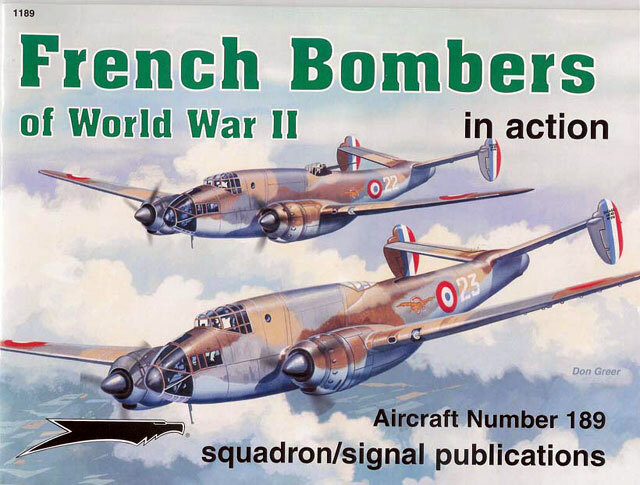 French Bombers of World War II is a much needed introduction to the variety of French bomber aircraft of which most of us know so little. I highly recommend this book not only to modelers who like the less popular aircraft of the Second world War, but also to all modelers, if for no other reason than to learn about combat aircraft that will most likely never be produced as a mainstream model. Now wouldn’t a 1/48 Amiot 143 be a real conversation piece sitting on your shelf?